Thousands of beady eyes glint in the dark, glowing with hatred and hunger as the Clans Verminus mass for the attack. A cacophony of chittering voices and scrabbling claws drowns out all rational thought, getting louder by the moment. Carnage ensues as these Skaven drag their enemy down with sheer weight of numbers, gnawing away at them until nothing remains. 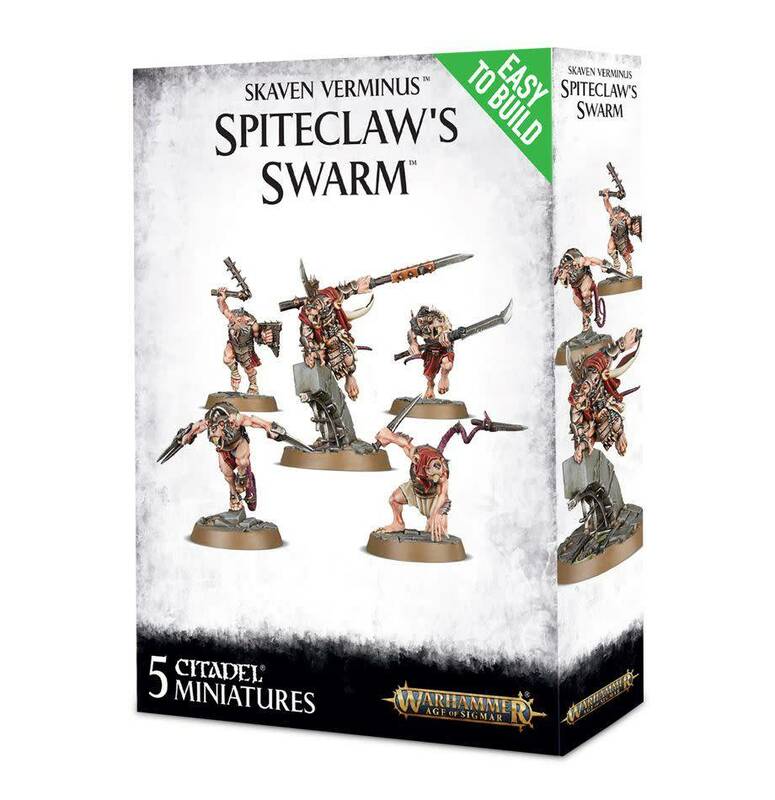 Designed to be as easy as possible to assemble for new hobbyists while being detailed enough for the hardiest veteran to appreciate, this is a set of 5 Easy To Build Skaven. Push-fit, with no glue required, these are incredibly straightforward to put together. - The Festering Skaven is armed with a pair of stabbing blades. This kit comes as 21 push-fit components, and is supplied with 4 sculpted 32mm round bases, and a sculpted 50mm round base. A warscroll containing rules for fielding these miniatures as a unit in games of Warhammer Age of Sigmar is included.